Police have launched an investigation after a body was found in a city flat at the weekend. 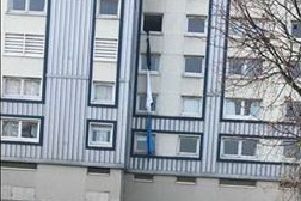 The 59-year-old man was found dead in a property in Hailesland Park, Wester Hailes, on Saturday. The cause of his death is not yet known but there are not thought to be any suspicious circumstances. A Police Scotland spokesman said: “Police in Edinburgh were called to an address in Hailesland Park, Wester Hailes, at around 10.40am on Saturday, August 8, where the body of a 59-year-old man was found. “The death is currently being treated as unexplained and inquiries are ongoing in order to establish the full set of circumstances.